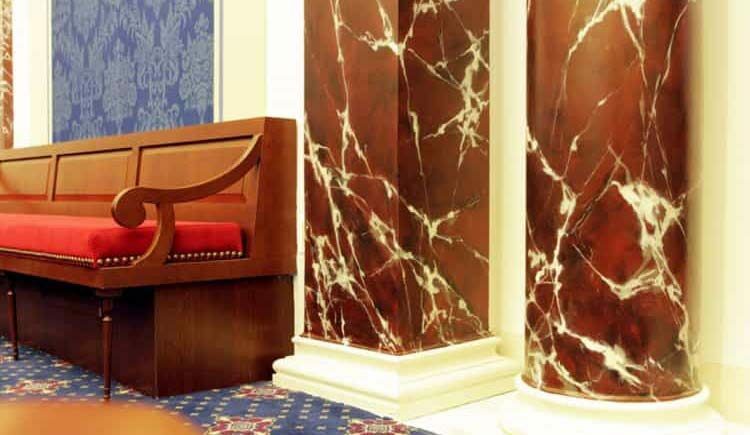 EMK Institute Decorative Finishes | John Canning & Co. 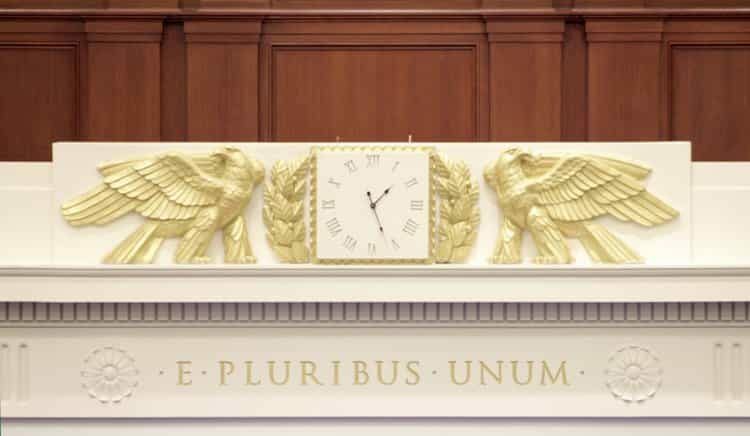 This month the Edward M. Kennedy Institute finally opened it's doors to the public. 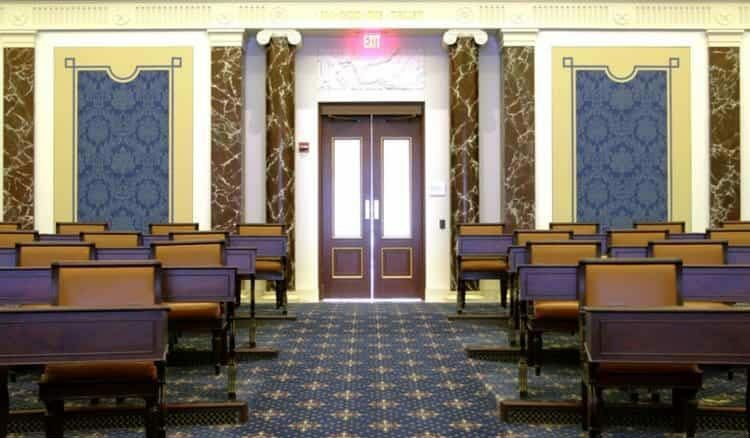 Inside the EMK Institute is a replica of the Senate Chamber in Washington, DC that provides the opportunity to educate visitors of the role of the Senate. 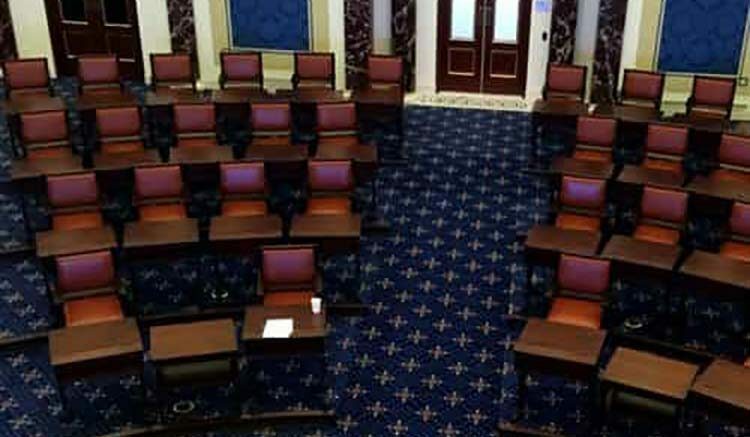 Thought and detail went into every aspect of this replica in order to ensure it was as exact to the actual Senate Chamber as possible. John Canning Co. was brought into the project with the task of completing the faux marbling and decorative finishes. This included the faux marbling of the pilasters and main desk. 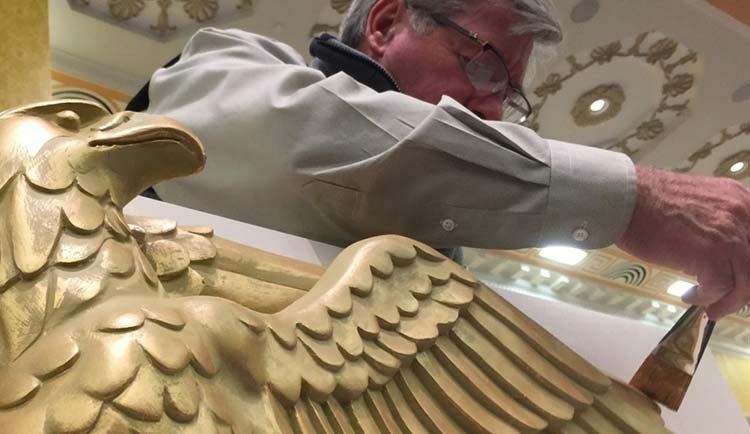 Bronze finishes were also applied on different architectural details throughout the chamber. To celebrate the opening, we’ve included a few completed photos of the job and a few behind the scenes shots.